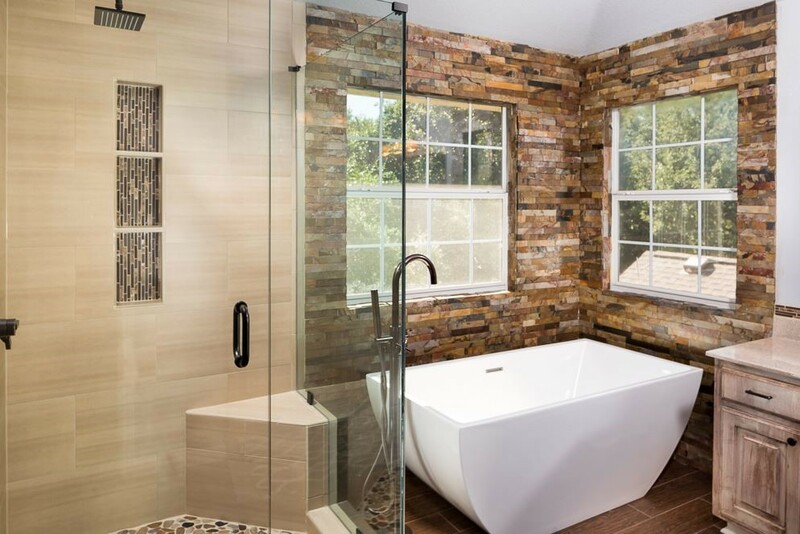 If you have been thinking about remodeling or redecorating your bathroom, and you have a small budget to work with making the decision to engage in the endeavour can be a difficult one. Updating your bathroom does not have to cost a fortune. If you can make the determination as to the area you want to start with in your bathroom, you have already won half of the battle. 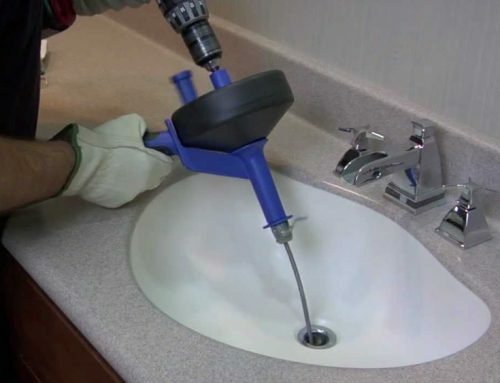 Here are a couple of ideas to get you started on your bathroom remodeling project. 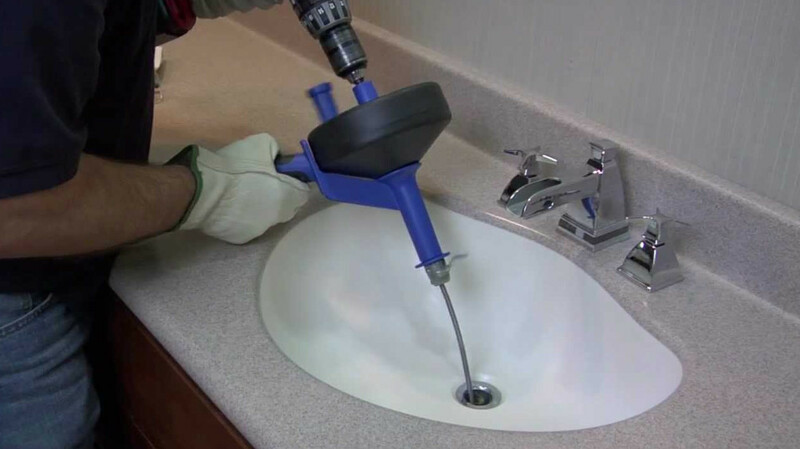 One of the easiest ways to update a bathroom is to change the fixtures. Bathroom fixtures are like pieces of clothing, as the styles change ever so often. 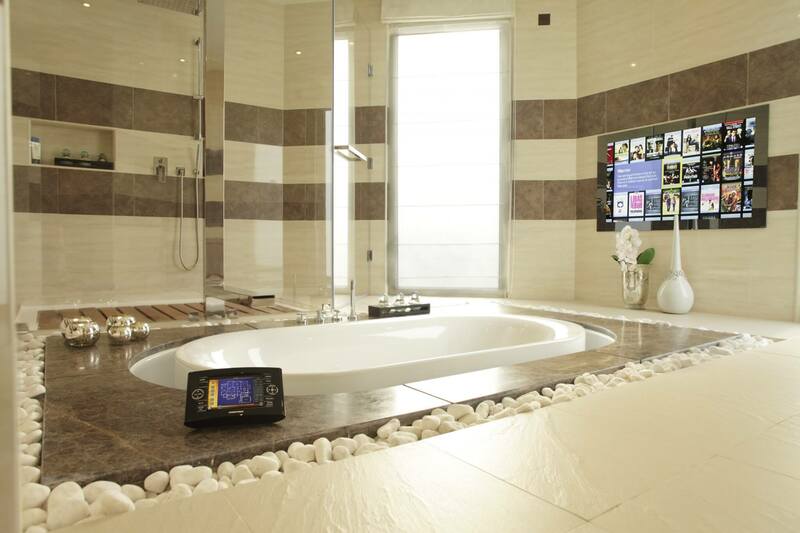 What might have been popular in the world of bathroom fixtures three years ago, might not be popular today. Gather some pictures from the internet and a few magazines, and then check to see if you can find something similar at your local home improvement store. You should also check your local thrift store as bathroom fixtures and chandeliers can often be found among the treasures. Granite countertops are just a popular as they are beautiful, and they are the true definition of luxury. 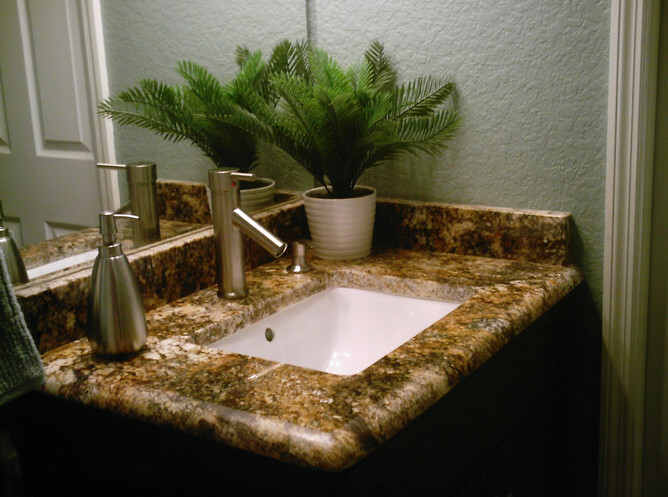 Most people tend to shy away from the thought of installing granite when they are working with a small decorating budget, but there really is no reason to do so. Even the smallest of budget has options, as purchasing a slab of granite with imperfections is a fantastic way to save some money. 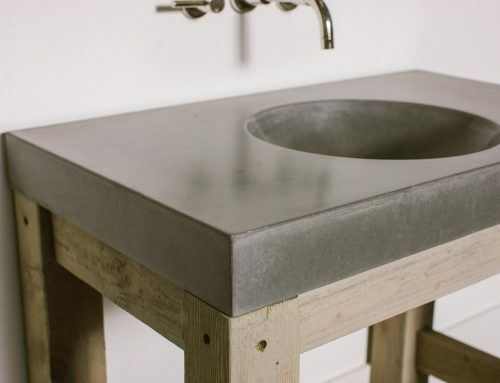 Look for pieces that have imperfections that are located where the faucets or the sink would be, and you are all set. If you invest a little time and effort choosing your color scheme, and thinking about the decorating style that you are hoping to achieve, you will soon have a bathroom to rival the best of them. 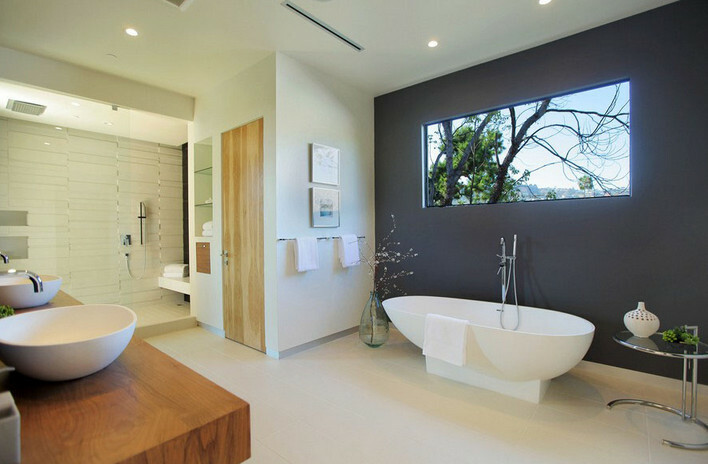 Just keep in mind that your imagination is the key to a successful bathroom remodeling project. 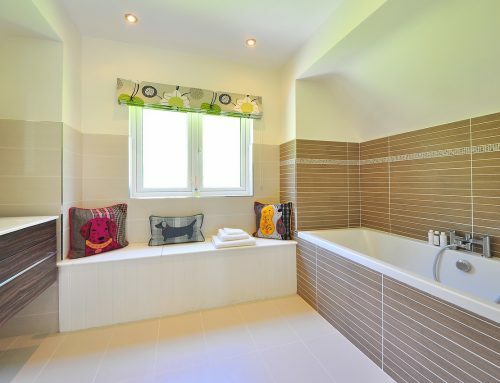 If you have a small bathroom, you may think that there is very little you can do to improve your space. 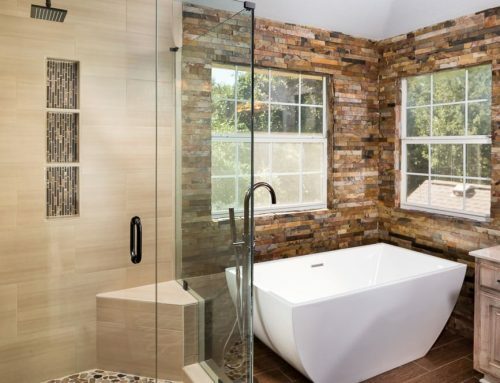 Many of the most popular bathroom ideas require a large room, but with only a petite area available, lots of fashionable fittings such as double showers and claw foot bath tubs are out of the question. Nevertheless, there are plenty of exciting bathroom renovations that you can carry out to not only make your room look fantastic, but also that give you extra room to play with. 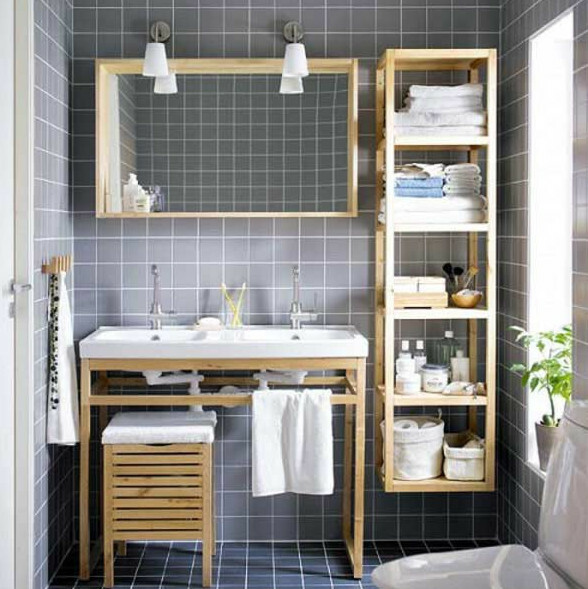 You can instantly clear floor space in your small bathroom by installing some clever storage solutions like under sink cupboards or wall mounted shelving. You can also add shower shelving to your cubicle which will give you space to store shampoos, soaps and sponges at very low cost. Bathroom wall cabinets are another effective yet inexpensive solution that will give your bathroom a lot more surface space. If you have a small bathroom, you can cheaply and effectively replace your flooring to give your room a complete overhaul. You can even opt for a more luxurious flooring choice like the one chosen by Absolute Summit SEO, as you will only require a small amount. Another way to give a small bathroom a complete makeover without breaking the bank is to invest in some stylish wall coverings. If you have always loved the idea of dark colors or striking prints, a small bathroom is the perfect place to try this style out. Make a feature wall using a small amount of colorful wallpaper and then paint the rest of your walls in a neutral shade. Alternatively, go for a low budget neutral paint job all around and add splashes of vibrancy through brightly colored accessories. If you are in the market to replace your fixtures and fittings, you should consider opting for smaller than average fittings. 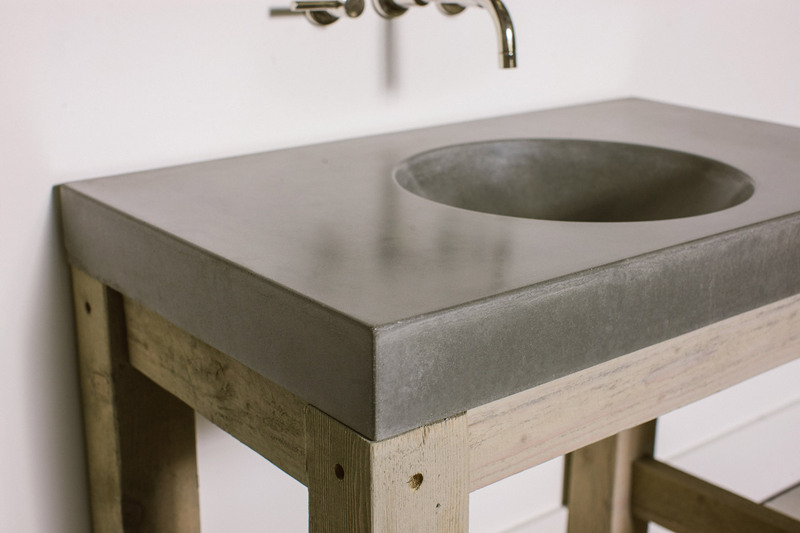 Compact pedestal sinks and streamlined designs give the illusion of space. To really boost your floor space, consider re-siting your fittings into different locations to maximize the area.